Have you tried aloe yet? You likely have a plant just kicking around in your home. You likely know about its benefits for healing the skin after too much time in the sun, but it also has a similar effect on the tissues inside our body! The healing properties of aloe are many. I have fond (read: not fond at all) childhood memories of my brother and father chasing me with stinky, slimy pulpy aloe leaves. Aloe smells like arm-pit. The weird gelly-like substance, the official term being 'mucilagenous' is an energy tonic unto itself. The mucilagenous property of the aloe - meaning the part that makes it feel snotty - is part of what makes it so healing. It actually helps the intestines to shed excess mucous. When we can get that mucous build-up off and out of the intestines, we then are better able to absorb the nutrients from our food. Imagine your car has just spent a whole day driving through mud puddles in the rain. By the end of the drive, your car would be caked in mud and your windows all murky. Aloe is like the car wash after a day (or lifetime) of sludge. Aloe shots are my favourite way to kick start the cleansing at the start of a holiday - it helps the body to gently release any build-up of sludge. Aloe is packed to the brim with vitamins A, B12, C and E. It also contains a broad spectrum of minerals too with sulfur, calcium, magnesium, zinc, selenium and chromium. 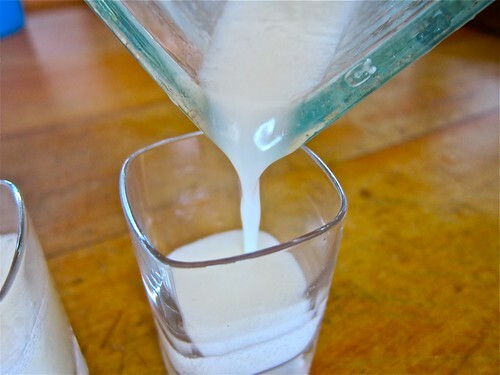 It's also rich in the fiber, amino acids (protein), enzymes, sterols, lignins, essential fatty acids and the extra special polysaccharides and well, a cleansing shot of aloe is a bit of a multi-vitamin. Interesting Fact: The polysaccharides in aloe have an affinity for the joints, offering a little lubrication for our creaky bones. These sugar chains also serve to lube up the brain, nervous system and the skin as well as help our immune system fight back chronic viral, nanobacteria, and fungal infections. Rumour has it that when you blend aloe up in smoothies you can give a little boost to your lean muscle mass. We want it fresh and we want it whole! Those aloe drinks and other processed aloe foods will simply not do the trick. They have heaps of sugar in them, loads of deodorizers and more often than not, if they don't contain preservatives they are likely rancid. The leaves themselves will stay perfectly well at room temperature for a couple weeks. Just cut off what you need as you need it. I slice a bit every morning. I put some into a jug of water and put another chunk into my morning green drink. Another simple way to enjoy the benefits of aloe in a gentler form is to simply remove the skin and drop the aloe jelly into a jar or pitcher of water and let it sit for a few hours and then throughout the day, you can sip on the water. This can also help the water become even more hydrating thanks to the hydrophillic quality of this desert plant. 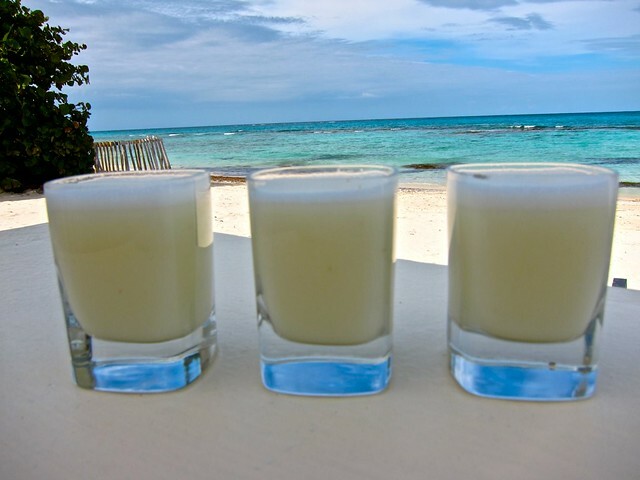 My favourite way to enjoy an aloe shooter is to combine with fresh lemon or lime juice and when in the tropics, some young coconut water too. A whole aloe leaf is for sure the way to go with this. I recommend getting a few plants and start them growing. You can also get fresh aloe leaves from your local ethnic market as well. And of course, everything can be ordered online these days. Aloe gel from 3 inches of a fresh aloe leaf. Filet the aloe leaf, peeling off the outer peel so you are left with the gel only. You can eat some of the outer dark green peel, but it does have some laxative effect. Are you referring to the whole aloe leaf? Hi, I've recently been reading your letters, i simply love the information you give out. Thank you. Re aloe post, how do you obtain the gel from the leave, drain or squeeze it? and when you say blend everything in the aloe shot do you peel it or can you just put in the aloe slice in the vitamix please? Thank you for your very sweet words. You can filet the leaves to discard the outer peel and you will be left with the jelly middle.